This post contains sponsored links from www.runNOTC.org. 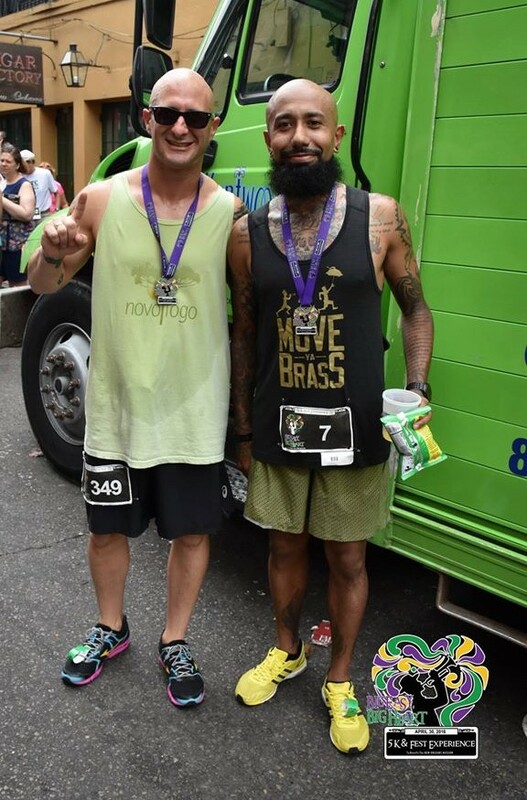 The Big Easy Big Heart 5k 2016 takes place in New Orleans, Louisiana - USA. Presented by the New Orleans Track Club(NOTC) and hosted by Hard Rock Cafe New Orleans, proceeds from the race event benefit the New Orleans Mission. 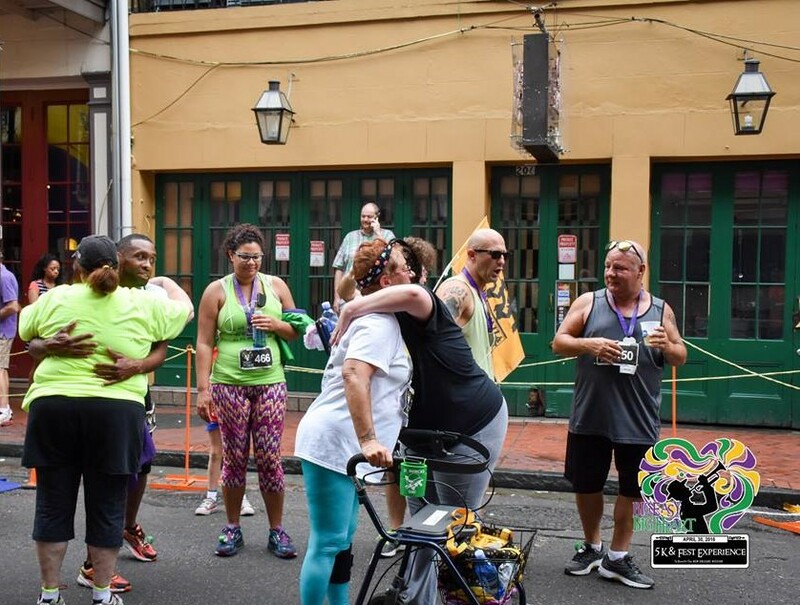 Founded in 1989; the New Orleans Mission claims "Our strategy is to rescue people from homelessness, strengthen the recovery efforts of the people seeking our support, and fostering their successful re-engagement into society as healthy, disciplined skilled people ready to lead a sustainable productive purpose-driven life". Proceeds from the Big Easy Big Heart 5k go to specifically aid in the "fight to rescue sexually, physically and emotionally abused women," NOTC said. 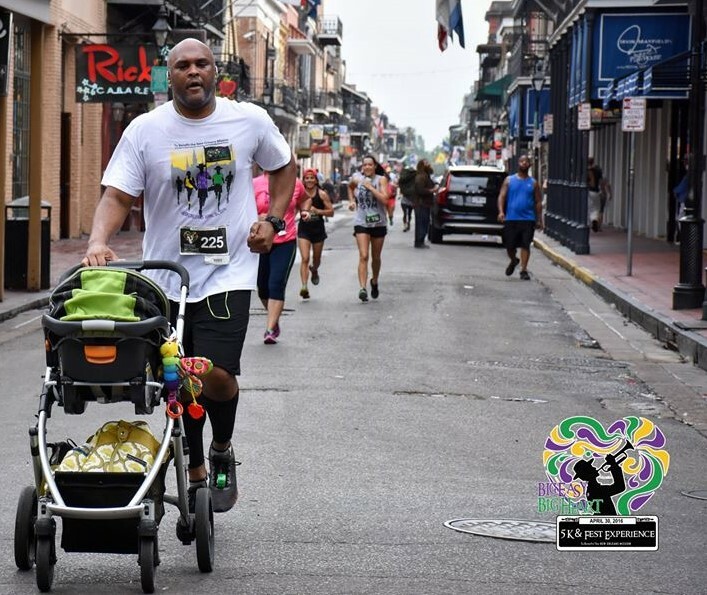 via social media. 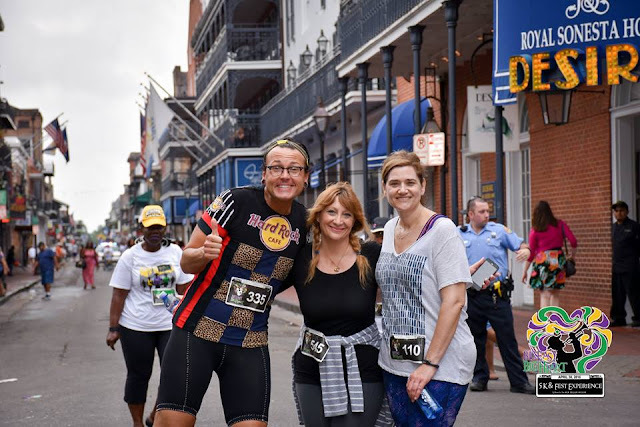 Source: George Melichar - Hard Rock Cafe New Orleans located at 125 Bourbon St.
Race-day registration and packet pick-up started at 7:30am at the Hard Rock Cafe located Iberville & Bourbon Street. 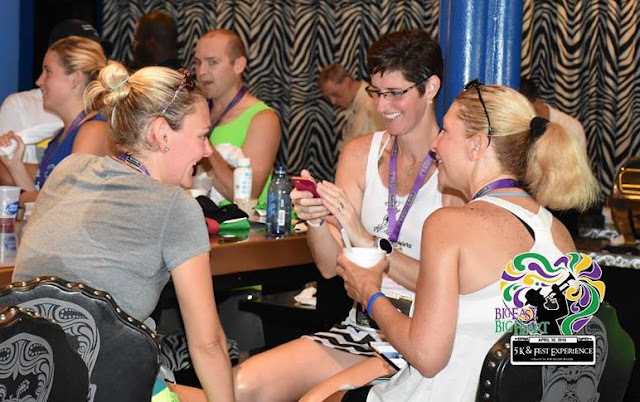 Getting my race bib was easy and most participants spent their time socializing. 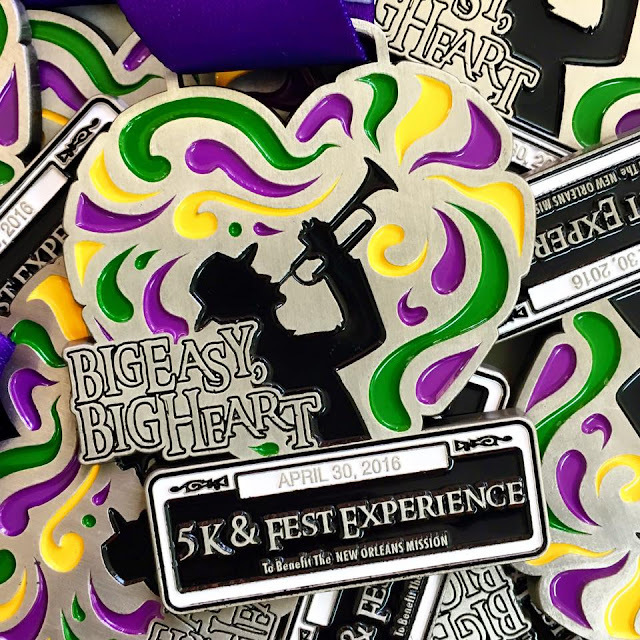 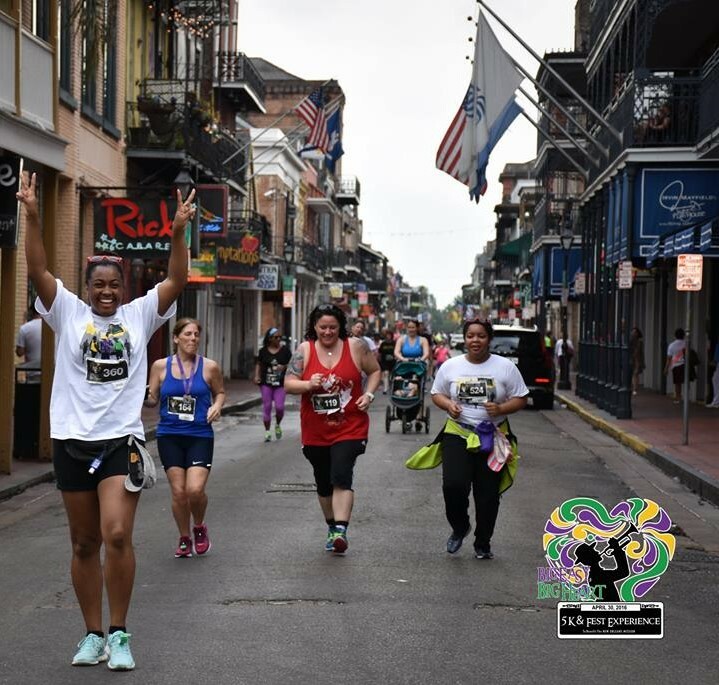 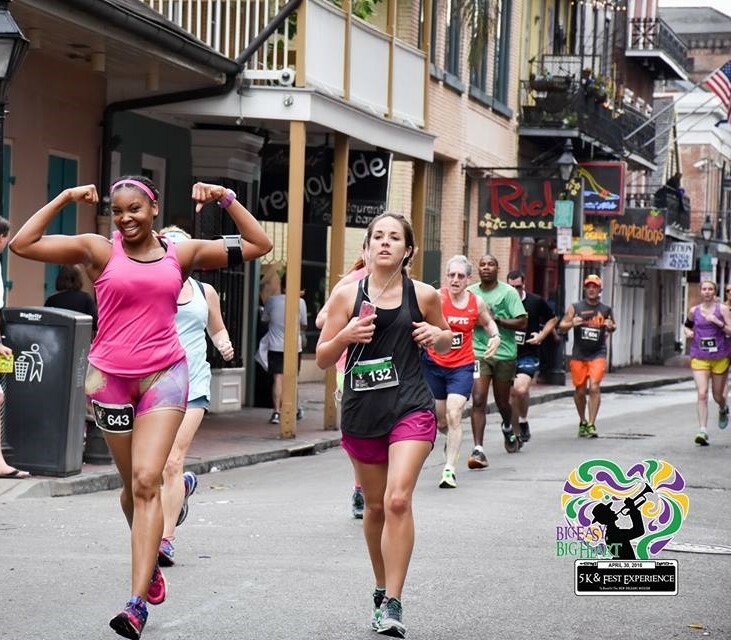 The Big Easy, Big Heart 5K course runs through the French Quarter and the Faubourg Marigny, starting on Canal Street and ending on Bourbon Street at the Hard Rock Cafe. A Fest Experience 1 mile race was offered after the 5k. 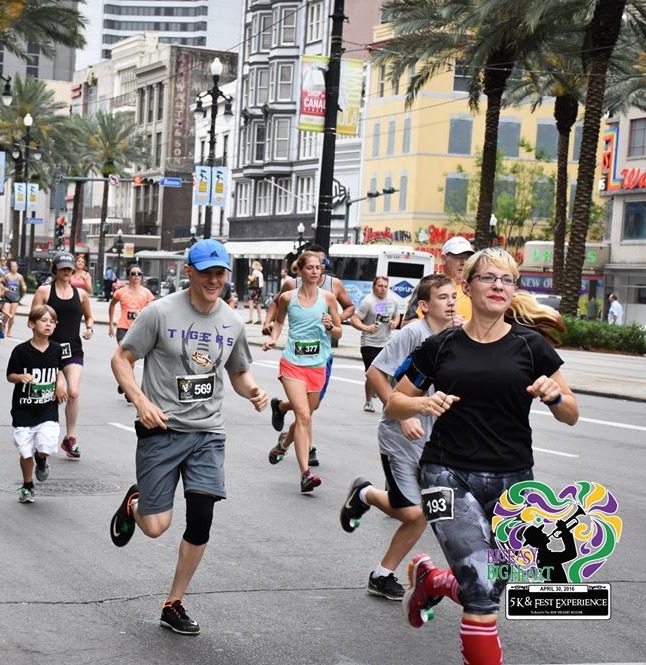 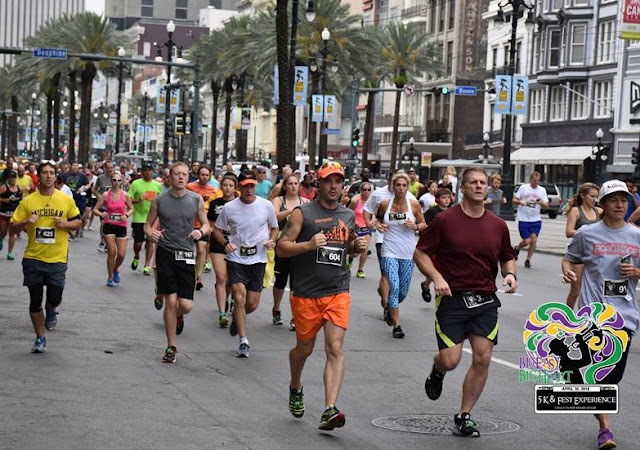 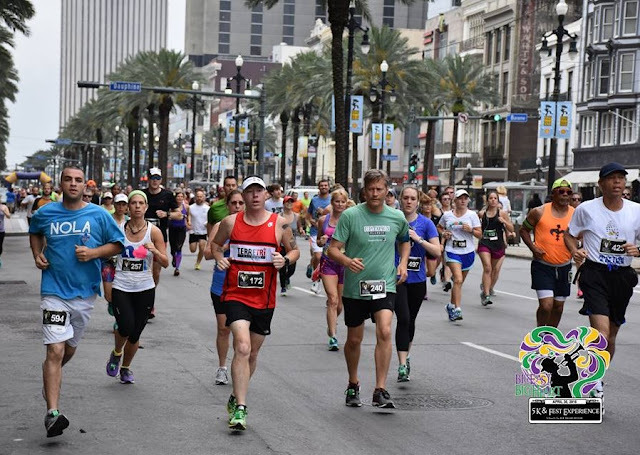 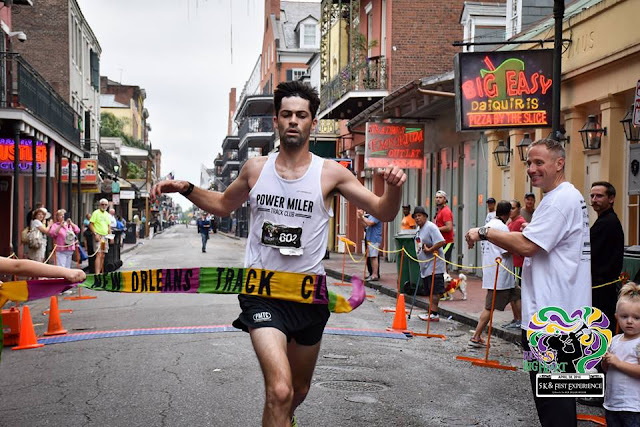 The 1 mile course also runs through the French Quarter, starting on Canal Street and ending on Bourbon Street at the Hard Rock Cafe. Participants must carry their "fest chairs" during the full 1 mile race. 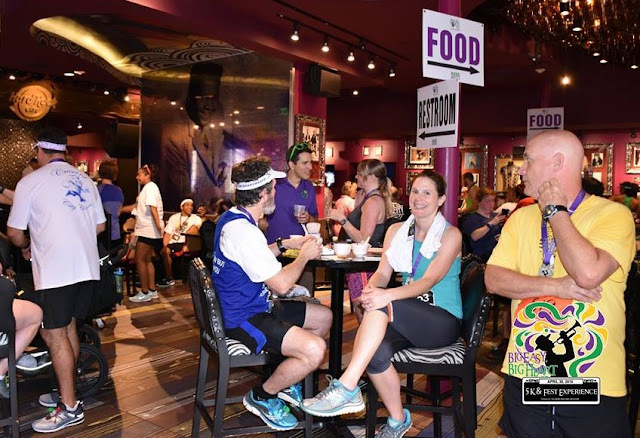 Post-race refreshments included water from Kentwood Springs, beer from Southern Eagle, and snacks from Baker Maid and Elmer's Chee Wees. Awards Celebration food was provided by the New Orleans Mission chefs and a live surprise performance by Rockin Doopsie Jr.. 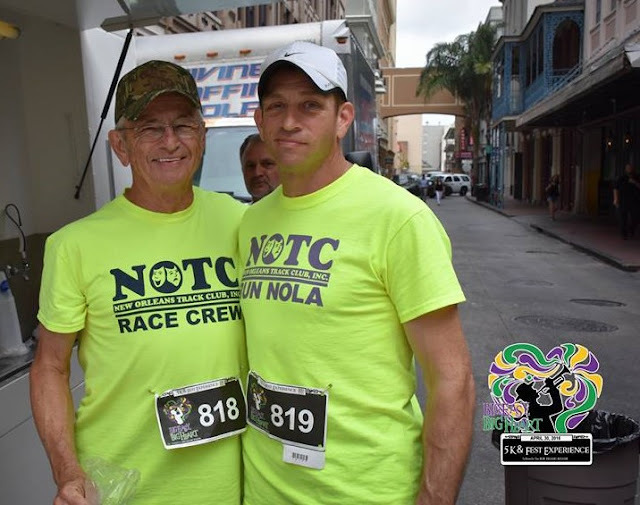 Source: George Melichar - (L)George Melichar & (R)Rockin Doopsie Jr.
For more information about the New Orleans Track Club visit www.runnotc.org. 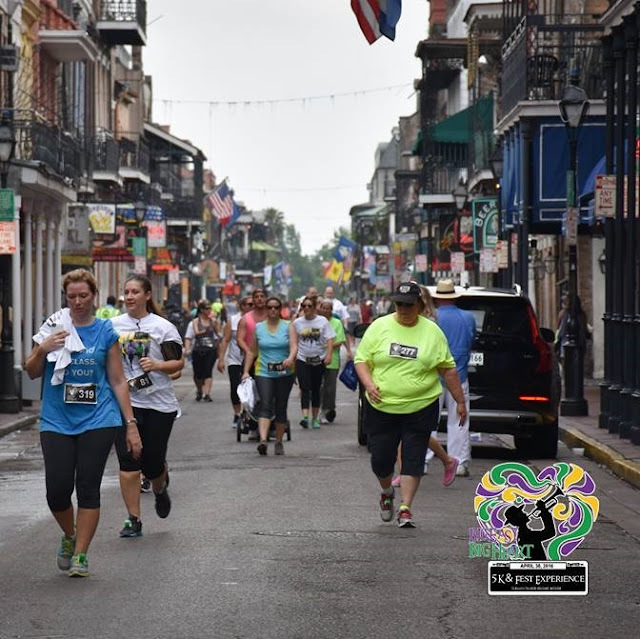 WGNO-TV (channel 26) reported "Let the Races Begin"! 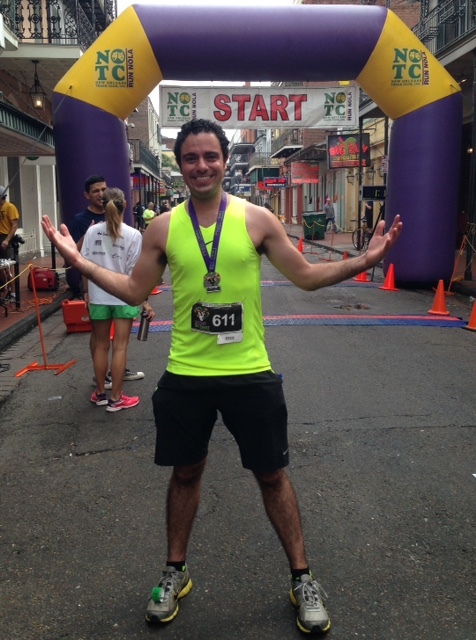 George Melichar reported(2015) - www.LarisaDixon.com "Inaugural Big Easy Big Heart 5k 2015". 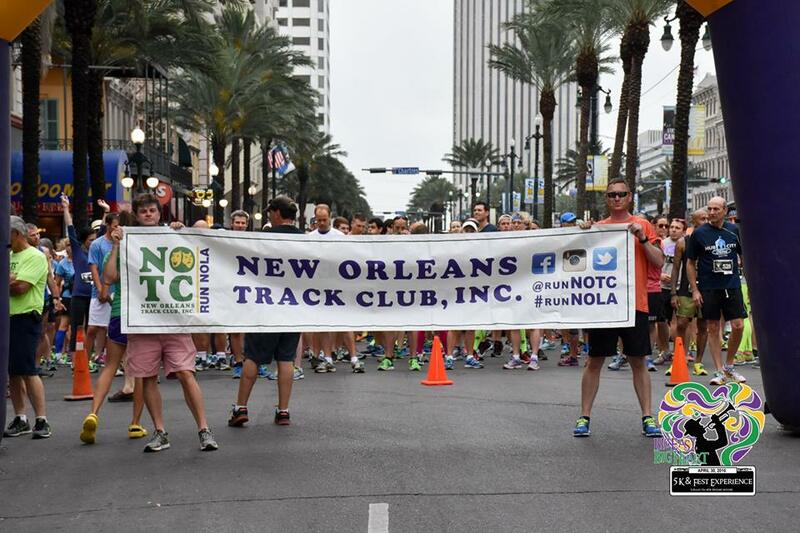 If you're looking for a venue for a small event in this area, you may want to stop by and check it out. 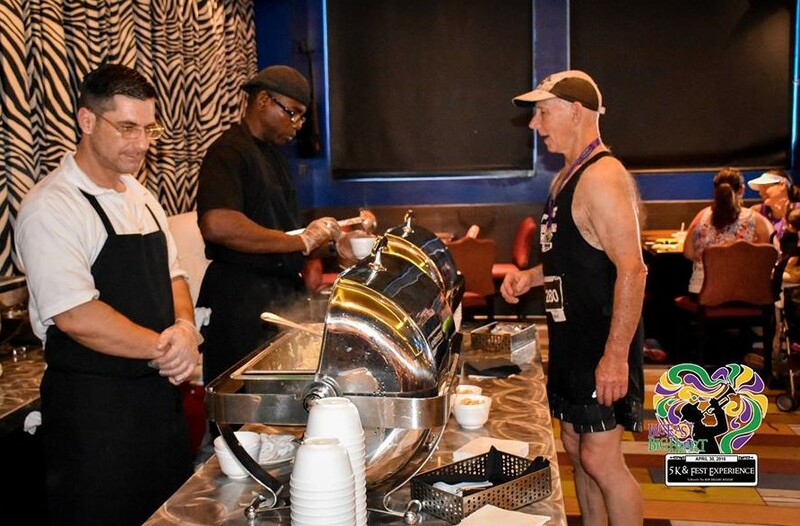 Their staff is very friendly and the food is great. We preferred these venues in Atlanta because they are all-inclusive, so you don't have to worry about chairs and catering because it's all part of the package.